herod attacks a servant, implications with knives, a magi is beaten, a man punishes a boy, hits him with a stick and ties him to a tree; blood is seen on his face. the drinking of wine in a scene. tension between characters; death and grief; an image of a demon reaches out toward boy which causes him pain and he becomes blind; a man that betrayed the wise men is seen on the ground, dead. On their lives’ most important mission to find and worship the young Messiah, three Magi priests find themselves battling more than the elements, and ultimately discover their true purpose. 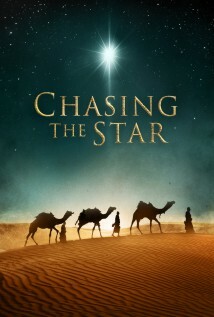 “Chasing the Star” is a historical fiction film that quickly confronts us with the cosmic battle, the battle of good and evil, played out through the lives of the three Magi. The film opens as a twisted, tortured Herod is interrogated by Satan himself. Nothing redeeming about him. The story then draws us into the lives of three Magi priests, clouded with painful personal struggles which threaten their priestly futures and quests to change the world. In this moving film, Satan holds power over the elements, manipulating events and men to satisfy his appetite. During the Magi’s journey to Bethlehem, Satan conjures a storm, ravaging their camp. Fearing for their lives, the Magi pray to the Creator, and in a pivotal moment the battle turns as God dispatches Gabriel to confront Satan. Satan arrogantly concedes and the storm subsides. We wonder; does Satan have the final say? We find, however, Gabriel has also come to reveal to the Magi their true purpose. This absorbing, powerfully acted film is one of personal, spiritual transformation and will seize the interest of adults and older children. An interesting note is the Magi were actually a politically powerful hereditary priesthood tribe with Medo-Persian roots, but the overall creative storytelling will move viewers to see it again!